SIAL 2018 took place this past week in Paris. I was fortunate enough to attend and experience the expo’s mission of: Look deeper--take a trip around the planet—food of today and tomorrow. This year’s expo had three overarching themes of “Taste, True and Meaning,” which played out across the eight exposition halls, with hall seven focused predominantly on dairy foods. That’s where I spent most of my Sunday. So what is the theme of taste? It appears that over the years, with emphasis placed on better-for-you and restrictive diets, the industry lost sight of focusing on taste. “It was still there, on our plates, but seemingly packing less flavor and strength than in the past. 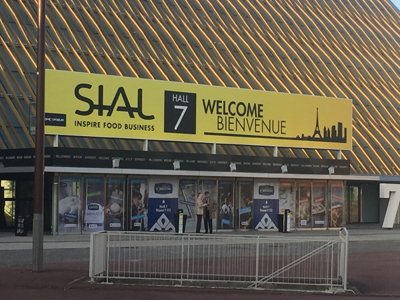 Well, now it’s back,” according to SIAL’s innovation expert panel. What does true food mean? This refers to food that is more authentic, more natural, healthier and also safer. Consumers are paying more attention to what they eat, and the need for transparency and commitment has never been so strong. According to the experts, today’s consumers increasingly want to find new meaning in what they eat. Many consumers are getting closer to producers to do their food shopping. They favor short supply chains such as farmers’ markets and cooperatives. Local gives the food purpose. Taste, True and Meaning came to life on the exposition floor. Over two days and 44,332 steps, I explored the eight halls to identify a number of noteworthy innovation concepts for the global dairy processing community to consider in future product development. 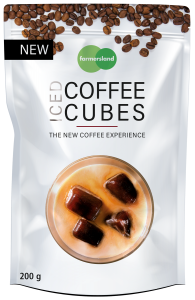 A concept that caught my eye was new Iced Coffee Cubes from Germany’s Farmers Land Food GmbH. It’s simple. Extra-strong coffee gets frozen into cubes and sold in recloseable pouches. When you want an iced latte, just put some cubes in a glass, pour milk over and stir. This very simple concept has potential to be a distribution format for functional ingredients, such as probiotic yogurt cubes. 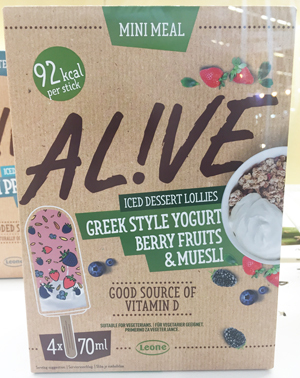 Dadu Ice Cream in Lithuania markets Probio Active frozen yogurt bars. The individually wrapped bars come in peach and raspberry varieties, with each bar delivering more than a million Bifidobacterium BB-12. Industry forecasts suggest that the proliferation of gut-healthy foods is expected to explode in the New Year. 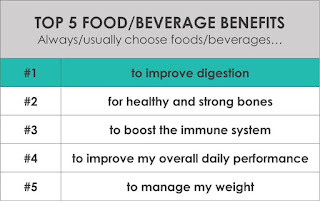 It appears that it’s finally resonating with consumers that a healthy digestive system is the foundation of overall wellness, as a balanced, positive human microbiome is associated with vitality and healthy aging. 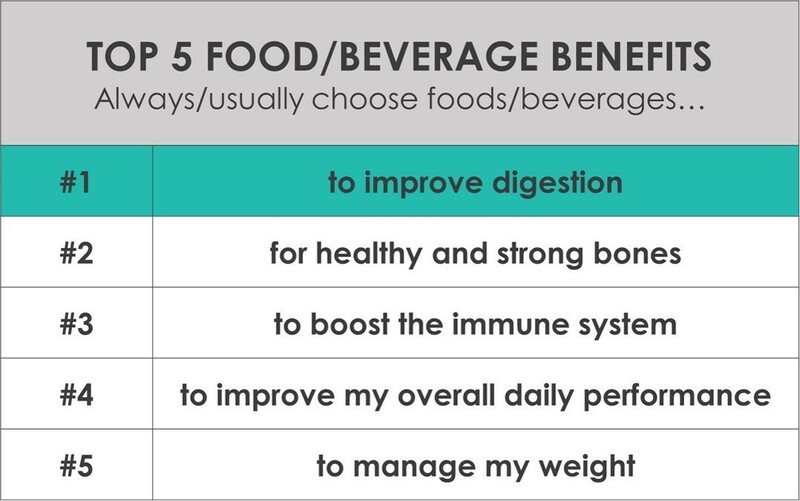 More than half of shoppers, globally, always or usually choose foods/beverages to improve digestion—ranking as the #1 benefit shoppers seek from a list of nearly 30 functional health benefits—according to findings from HealthFocus International. What’s key to note is that dairy no longer owns probiotics. There were a number of water kefir probiotic beverages showcased in the beverage hall, where kombucha was also a star attraction. Healthy digestion in the dairy category also includes lactose-free options, and umerous global dairy brands now offer lactose-free versions of their most popular products. That’s what Latteria Montello S.p.A., a 70-plus-year-old Italian fresh cheese company, is doing to keep customers who may leave the fresh cheese category because of lactose sensitivities. 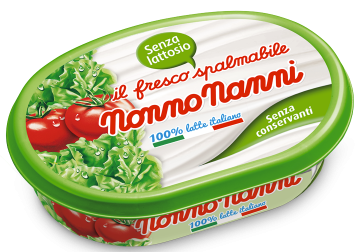 One new lactose-free option is Nonno Nanni Fresco Spalmabile. The fresh taste of this spreadable cheese is the result of a careful selection of milk enzymes and accurate balance between sweet and savory notes. It comes in 150 gram resealable trays. This same variety of cheese is also available organic, made with 100% Italian milk. Alive Greek Style Yogurt bars with fruit and muesli are marketed as mini meals. These probiotic dairy stick novelties are also described as being suitable for vegetarians. Speaking to the “meaning” theme, France’s Eurial cooperative is all about local and organic (bio). 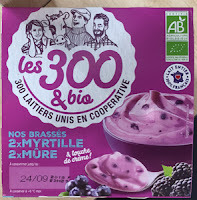 The group recently introduced the 300 & Bio, which includes yogurt, fresh cheese and dairy desserts. With 300 & Bio, Eurial wants to reassure consumers about its purpose of being true and having meaning. The brand provides an ethical and health dimension to its products. Behind the brand name there are 300 organic breeders from the west of France united in a cooperative. On the lids of the products, consumers are able to find the pictures of the breeders in order to humanize the range. All of the products are higher-fat and described as gourmet and less acidic. This speaks to the “taste” theme. 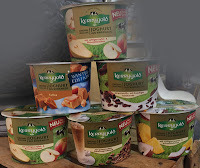 Another example of addressing “true” and “meaning” comes from Ireland’s Kerrygold, which is known globally for its butter and cheese, and in Germany, now for its yogurt. 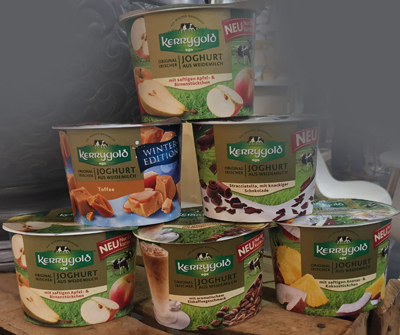 That’s right, Kerrygold yogurt is exclusively sold in Germany. Its brand position is that it’s made with Irish milk and shipped within three days of manufacture to Germany for distribution. There’s so much to be learned from the global dairy industry. The reassuring fact is that dairy is alive and thriving. There’s a saying that one gets complacent when there’s no competition. Let’s look at the plant-based movement as fuel to fire up dairy innovation!